The latest survey data has come back from "We Ask Some of America" and the results aren't that surprising. 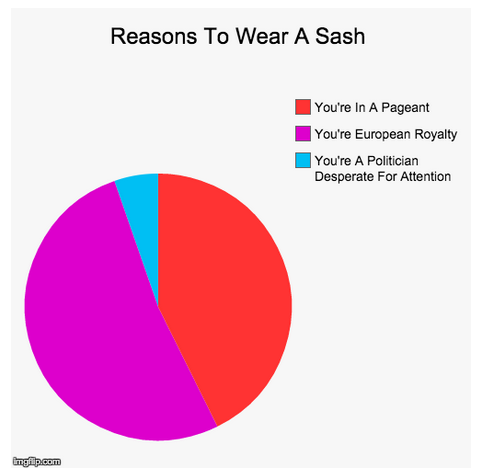 In asking voters across Illinois why anyone 'would wear a sash', they overwhelmingly identified the two major areas of sash-wearing: Pageants and European Royalty. In surprising news, Candidate for Illinois Treasurer Mike Frerichs' latest move of wearing a sash during the Mexican Independence Day Parade appears to have registered on voters radar.